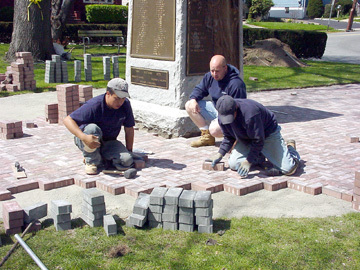 Engraved brick pavers with Veteran's names were placed in a Memorial Walkway in Veterans Park on Terrace Ave & Passaic late April 2003. 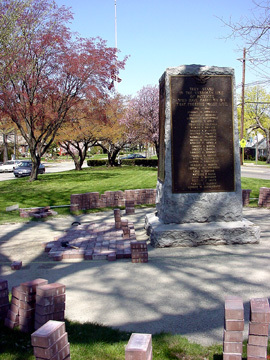 Orders that were placed by February 1, 2003 were installed for the Memorial Day Dedication. 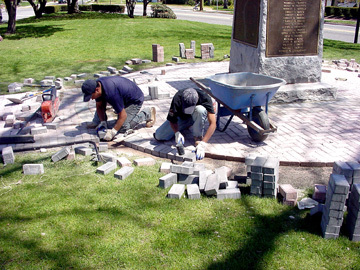 About 200 bricks were engraved and integrated into the walkway surrounding the Memorial Stone. 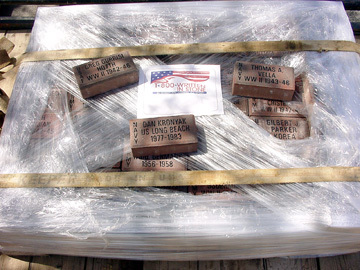 Bricks are available to all veterans from all services. 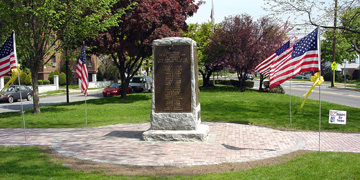 To participate, it is not necessary for the veteran to be a member of the VFW or American Legion, nor be a deceased veteran. 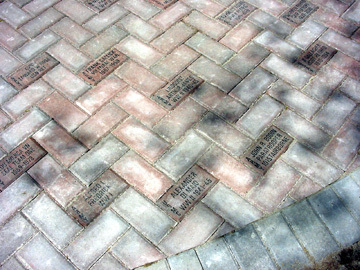 Bricks are 4" x 8" with 13 characters per line with a maximum of 3 lines. 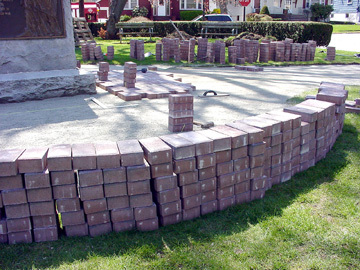 Cost $50 each. 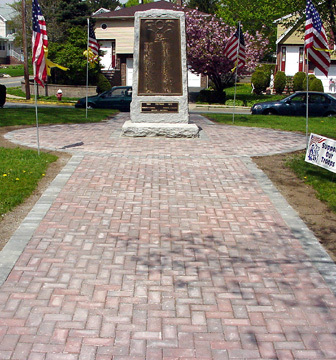 Contact Boro Clerk's office at 201-288-0195 for full details.